not easy. 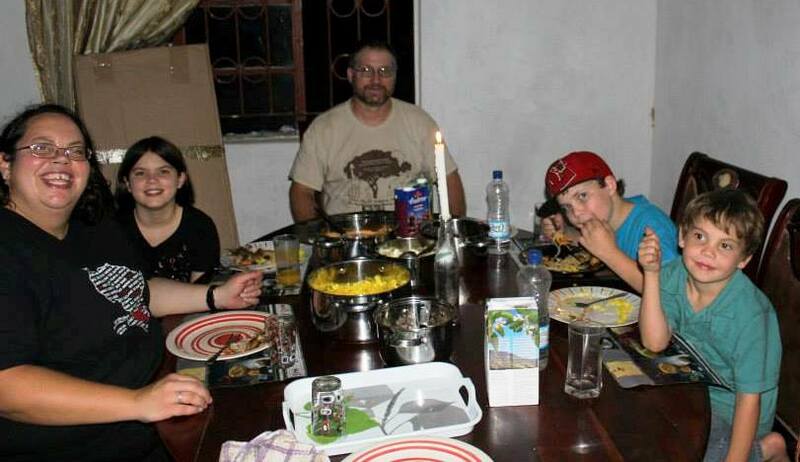 So, we filled our boxes, added a card with a picture of our family and sent them on their way. 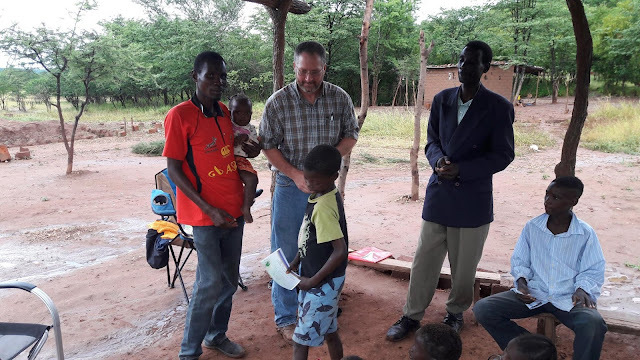 Well, nearly 8 months later, we went to the mailbox and we received a thank you letter from a young boy in Zambia, Africa that had received one of our boxes. God used that to give us a heart for Zambia. He called us to go to Zambia and serve as missionaries! So, as you may imagine, it is like a dream come true to now be on this side, handing out boxes to the children on the ground. It is like God has brought it full circle and we have been so blessed to be on both sides of the OCC program and it has had a tremendous, life changing impact on our lives and our family! 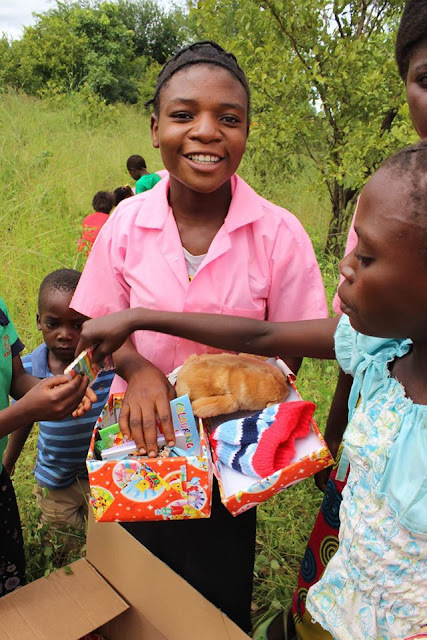 How do you get shoeboxes? 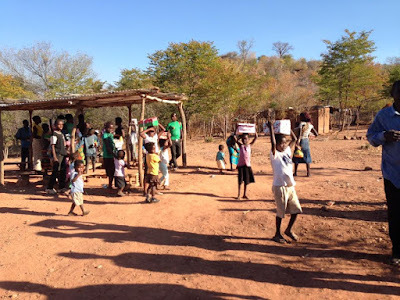 There is a local OCC group run by Zambian’s here that covers the area we serve in. 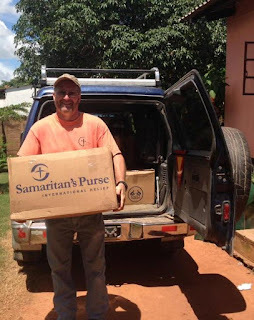 We partner with them through donations to help with cost of in country expenses and we request the opportunity to be a partner ministry in the region. Did you do any special preparation before the distribution? Yes, we prepare ahead of time a number of ways. 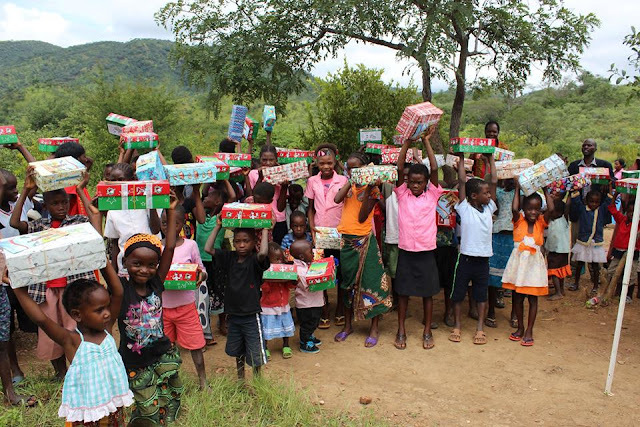 First, we identify an area within our ministry that would benefit from help and encouragement of shoeboxes. We make estimates on the number of boxes we would need to fulfill the need in that location. We submit a request for the number of shoeboxes and they evaluate the need overall and let us know how many we can receive. 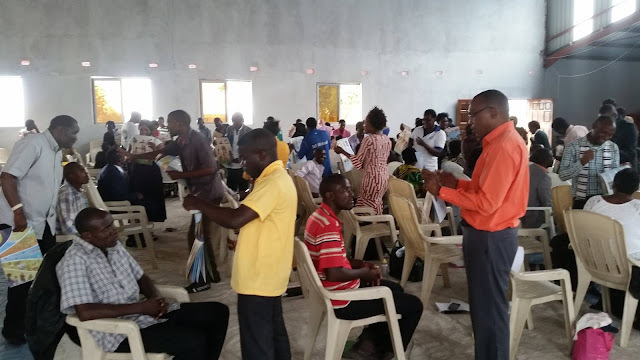 We are required to send representative of our ministry and teachers to a yearly training to be sure everyone understands the stated goals and mission. Once we know a location will be able to receive boxes we also do additional teacher training on the discipleship materials provided. 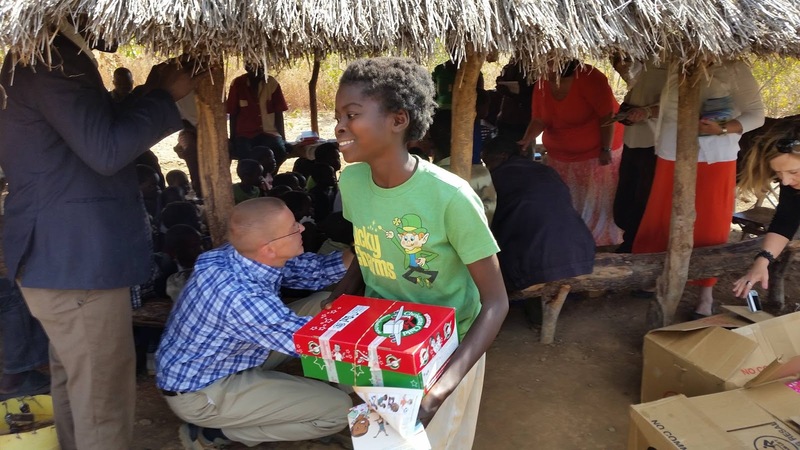 How many times have you distributed Operation Christmas Child shoeboxes? This is just our second year doing the shoebox distribution. 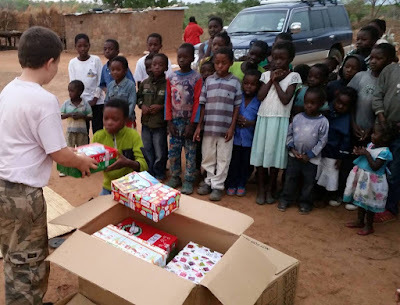 When & where did you distribute shoeboxes (location, what the area/poverty is like, etc.? 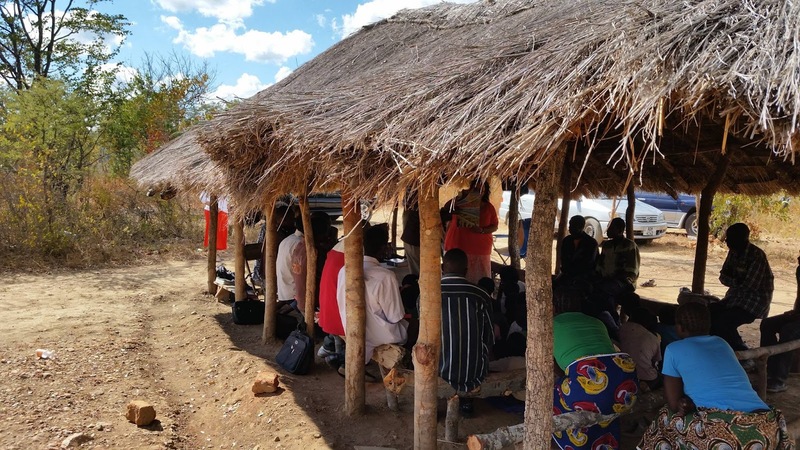 The areas that we chose for our ministry locations are mostly new church plants in very rural village locations. Most of these locations do not even have power or running water. Most in the areas we serve are living in extreme poverty. Our distributions have ranged from about 20 children to the largest being about 65. Again, we target new churches in our ministry that need discipleship and want to reach more people in their community with the Gospel. Distributions are fun and exciting but they take a lot of planning and coordination. We do not tell the children that the (Operation Christmas Child) distribution will be occurring ahead of the date. We make it a fun surprise. 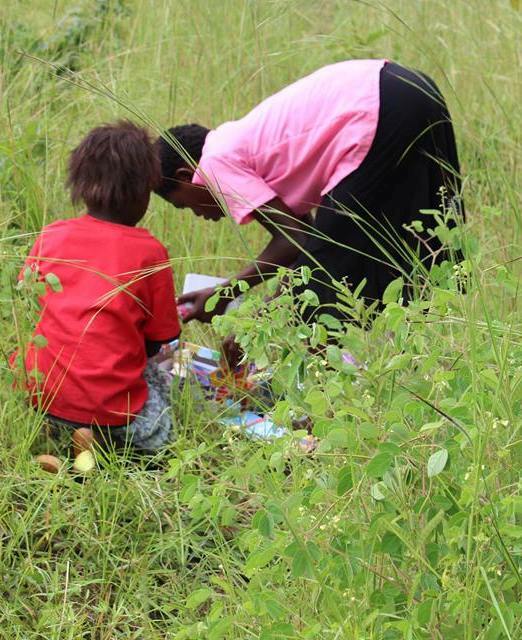 We focus on the children and sharing with them the Gospel story in a fun and engaging way. We then let them know that we have a special gift for them to remind them of the free gift of salvation they were offered. We let them know that people all over the world love Jesus and care about them. We call out their names from a list that is created by the local leaders. 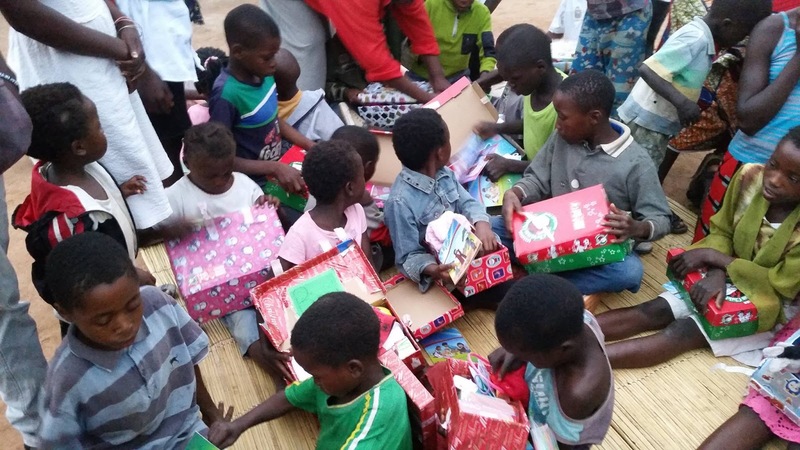 We give them their gifts and have them gather together to open them at one time. It is so neat to look around and see each child try to investigate what they have received and how to use it. It is so sweet when you see a big grin come across their faces and the light footsteps as they carry their gift home with them. The best memory for us is when we went to the graduation of one of our new churches and there were almost double the number of children that attended and completed the discipleship than even received boxes! 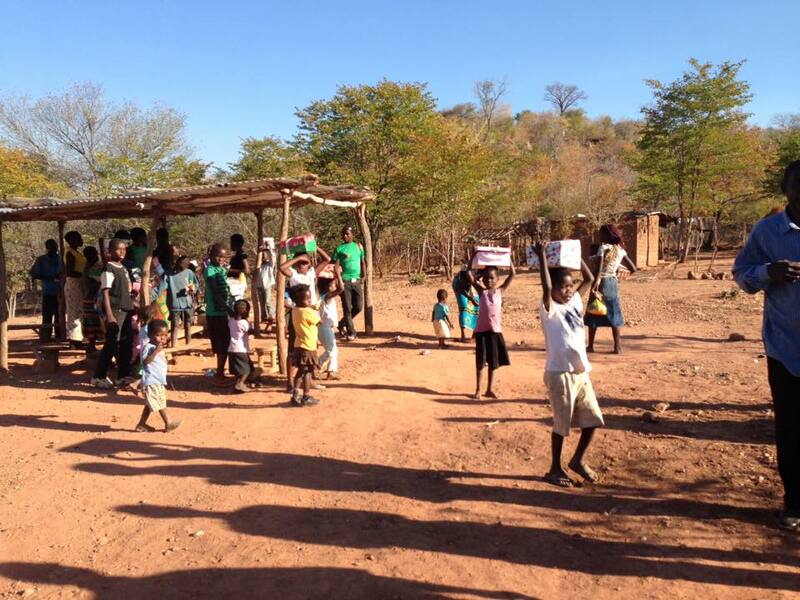 We had provided them with tools needed to reach the children in their community with the truth! What item(s) did you notice the kids really enjoying and/or needing? Maybe something you would consider adding or emphasizing more if you packed boxes the future? 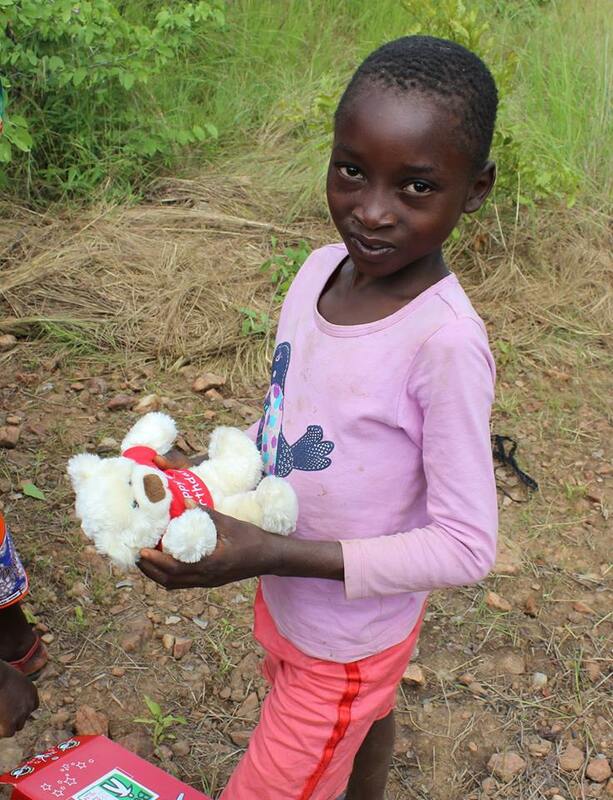 The stuffed animals/dolls seem to really connect with the children. Most have very few toys of any kind. For the older children, math sets and solar calculators would be a big help as they are required to have them to begin grade 8. Practical things are helpful like toothbrushes, combs, washcloths, soap. Is there anything you personally wouldn't pack as much in boxes in the future based on what you saw? I would worry less about gender specific items as they are not nearly as concerned about that type of thing as we may be. Did you have any follow-up with the kids? Yes, we do get to see the children when we visit these churches. It is fun to see them enjoying things they have received. We attend their graduation when they complete the discipleship books. We have seen our new church plants growing and we attribute some of that growth to programs like OCC. 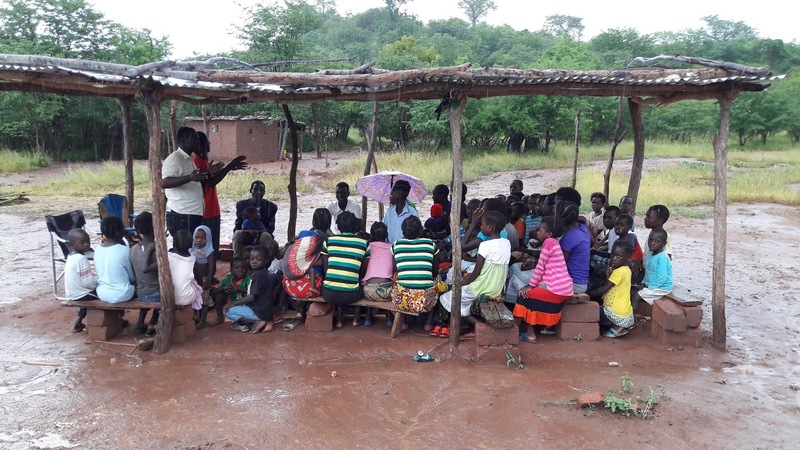 It also gives the teachers the tools to teach the children in a way that connects with their age group that is often overlooked in the areas we serve. Children are often just taught with adults and have little stories/pictures/games to make it fun to learn and the OCC materials provide that. Graduation Day at Kabanana!!! ... 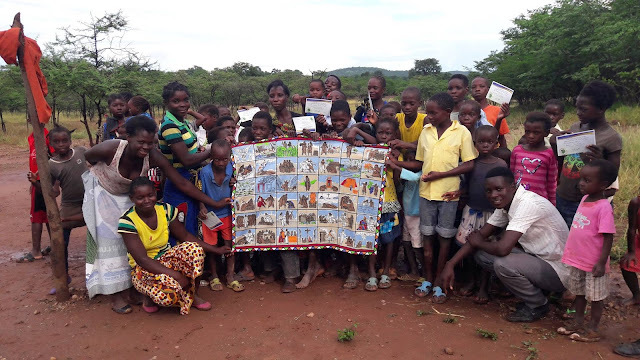 The have completed their books and we also awarded the Sunday School leader with a Story Cloth to continue teaching through the Bible!!!!!! What a wonderful day! 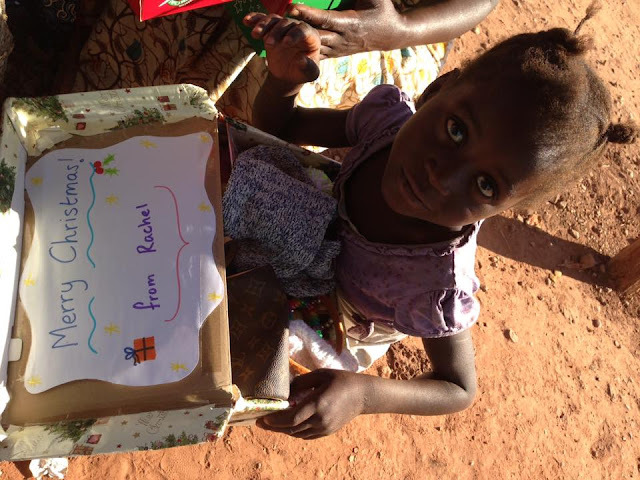 Is there anything else you'd like to share with shoebox packers? 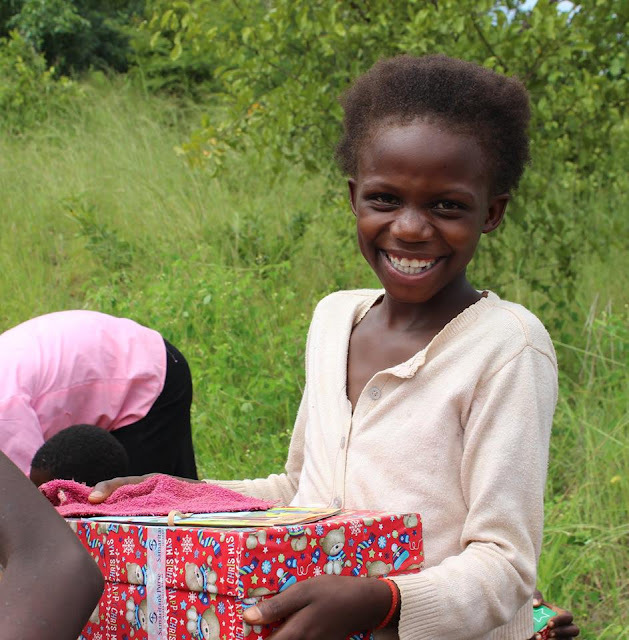 Remember that the shoebox really expresses God’s love to the whole family and not just the one child who receives it. Anytime you show love for another’s child it touches their heart. 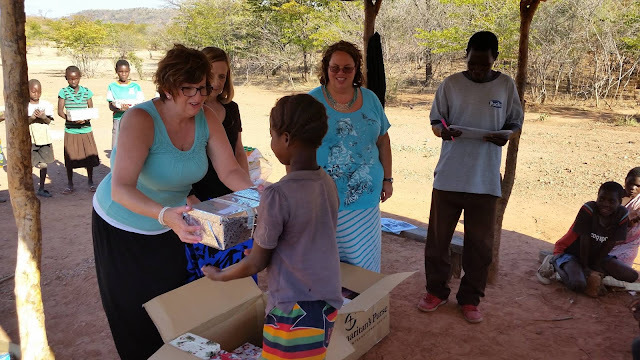 I have seen mothers that were very moved by the gifts for their children and fathers that have shown me things their child received months later when we visited their homes. These gifts show love to the whole family and relieve a small burden from the parents that would love to give more to their children but cannot. A friend told me today that they have toys in their home that they received a number of years ago, before we were even here, and she can tell the children that was a blessing that came from God. This is GREAT! Thank you so much for doing these interviews. And I LOVE the photos, too! This was such an interesting interview and I loved seeing all the pics of the kids receiving boxes! There's a lot of planning that goes into distribution of boxes that I was not aware of until reading this today. I'm SO happy that she kept her answers about what to pack very generic!